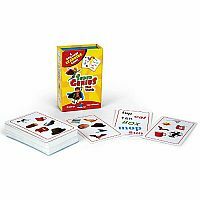 Encourage your little genius to read while comprehending and matching words to images. Super Genius First Words focuses on closed syllable and short vowel words. Early readers get prepared for more complicated language skills to come. Game play is like the Spot It! games where there is always a match between any two cards. Find the pair between a word and its image, two images or two words. 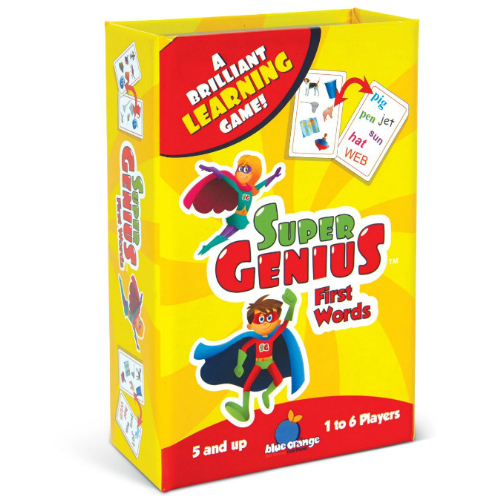 Super Genius First Words was specifically created with early learners in mind. 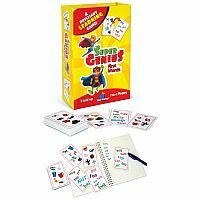 Also helps develop visual perception and attention skills. 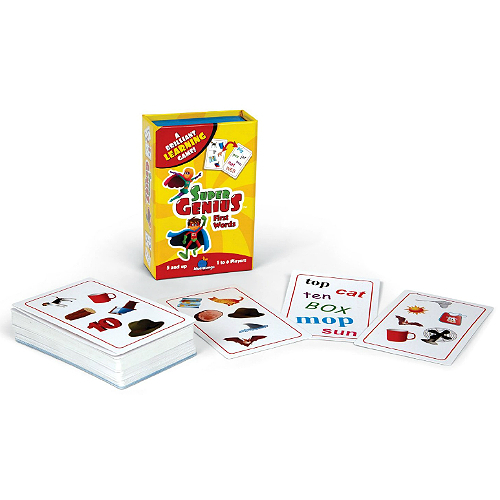 62 cards and instructions included. Game play is approx. 15 minutes. For 1 to 6 players. Measures approximately: 3.25 x 5.00 x 1.50 inches..